If you have access to sugar or red maple trees why not try your hand at making some maple syrup. 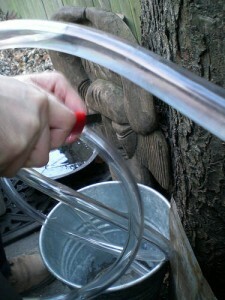 The Urban Forager has a really great article on tapping the trees and then tells you how to make the syrup from the sap. This was a fascinating read and I am going to scout around and see if I can find some trees I can tap and try this out.